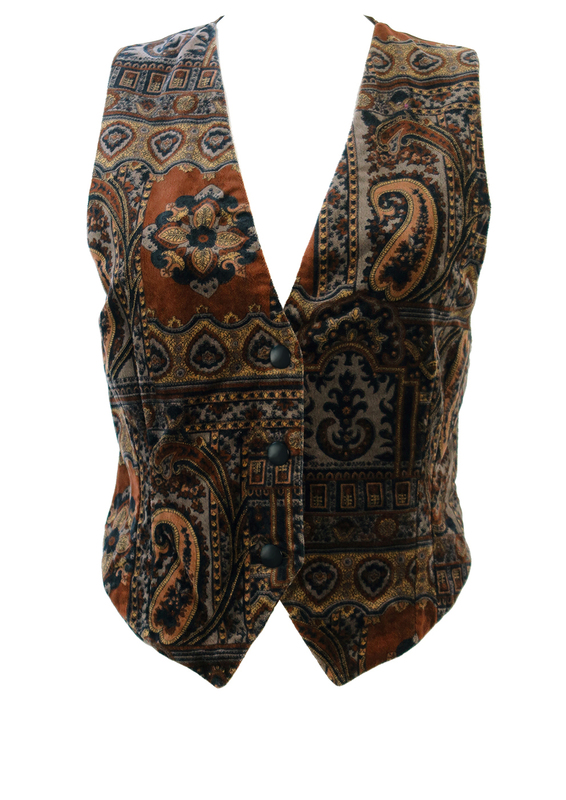 Velvet waistcoat with an intricate paisley pattern in rich colourways of grey, midnight blue, brown & camel. 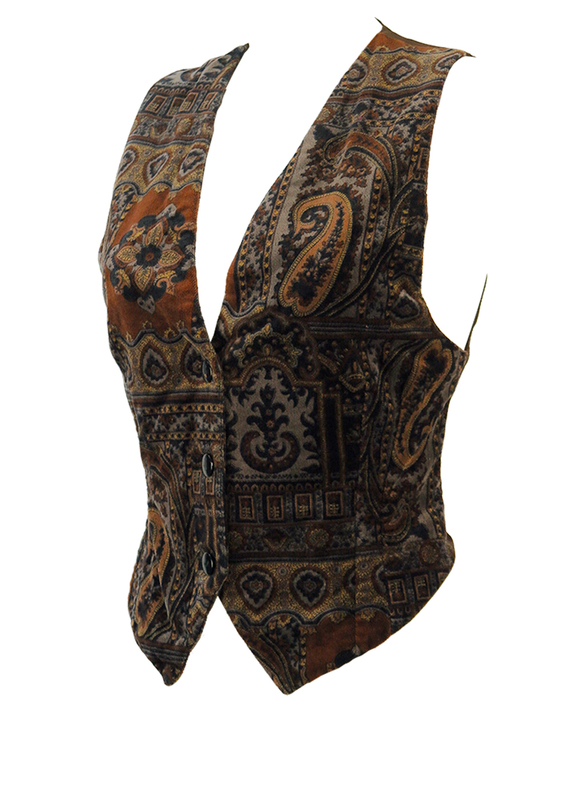 The back of the waistcoat is made from a mid tone brown satin-like fabric and is partially elasticated in the centre. 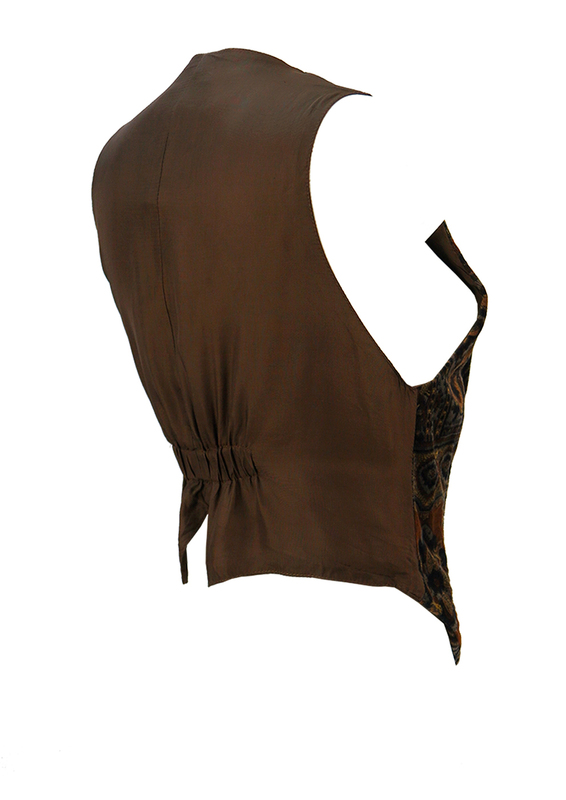 For this reason we have sized the garment between a size S and M as there will be some flexibility in width. 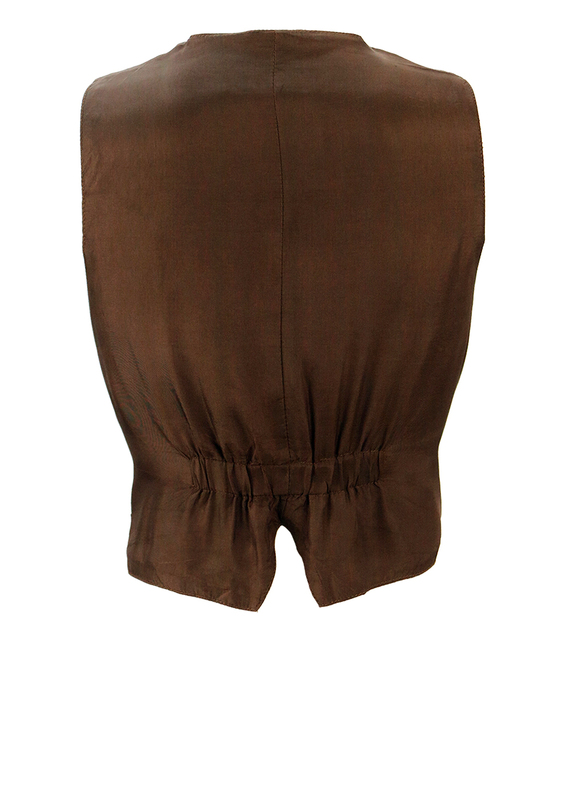 All our measurements have been taken with the garment non stretched. There is some minor wear to the buttons and a faint water tide mark on the inside of the lining at the back which isn’t visible when worn. 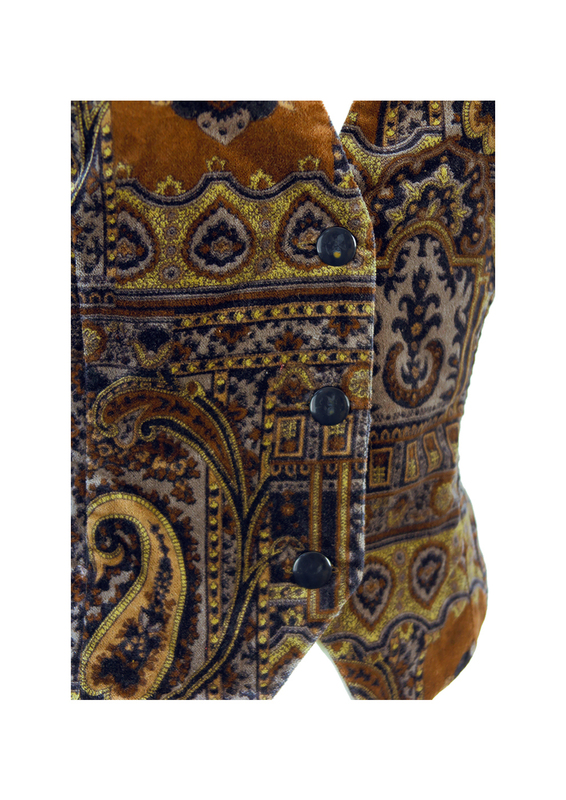 We have however reduced the price from £20 – £15 to allow for this. The waistcoat is otherwise in great condition. 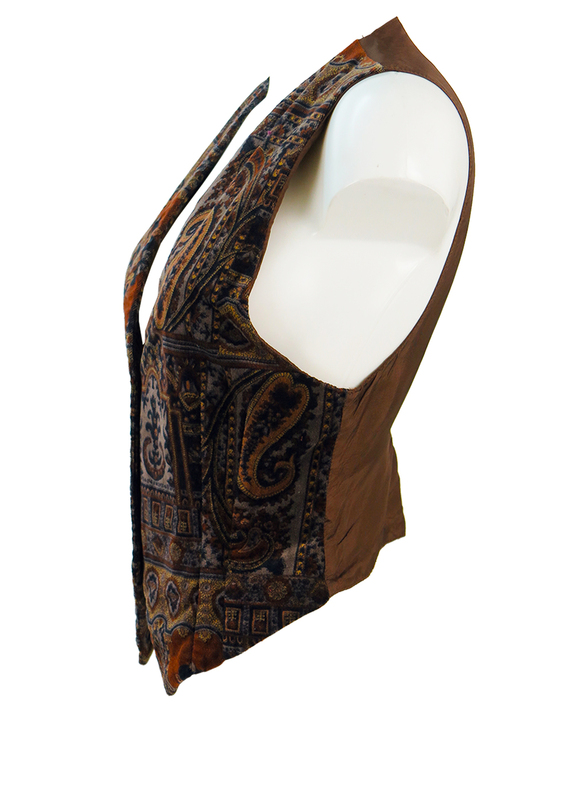 Back – 18", Front – 22"